with a front rim of stone. 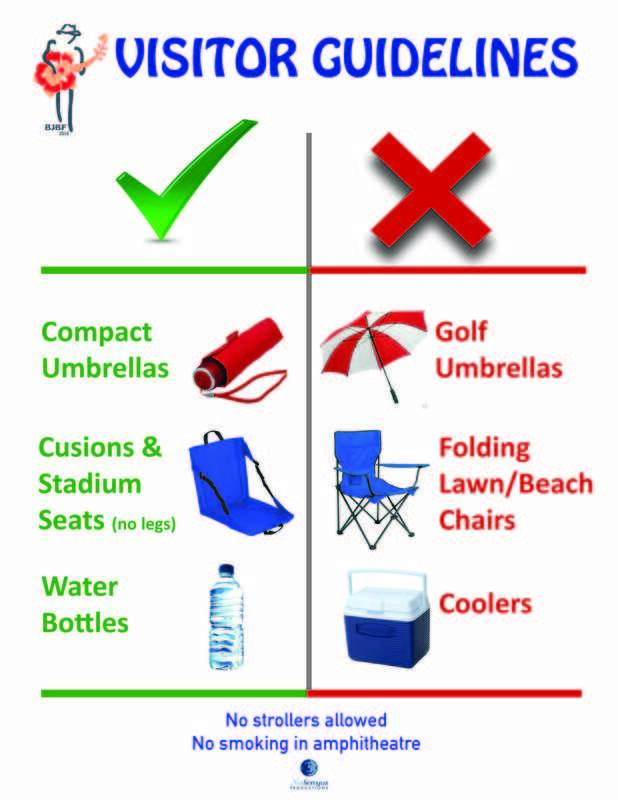 Folding lawn chairs or beach chairs are not allowed in the venue. would have to stay on the laps of parents at all times. Strollers are not allowed in the amphitheater. service that transport you from your hotel or the central park to the venue for $1.00 each way. - If you have any questions or need help please don't hesitate to address one of our friendly staff members wearing t-shirts marked "Volunteer," 'Security," or "Staff". They'll be happy to help you.